I am very pleased to present—the Baltic Capitals 2018. We’ve have so many features we know you’ll appreciate by building on our many previous trips. This educational and very enjoyable tour takes us to Estonia, Latvia & Lithuania—all former Soviet republics with a troubled past but exciting revitalization. We begin in Vilnius, the capital of Lithuania since the 13th century, to experience this charming city and surrounding countryside. The Old Town has a unique mixture of West European architectural styles—Gothic, Renaissance, Baroque and Classical. While in Vilnius, some of our group may wish to visit the Jewish-related sites as an option. This would include the Jewish Museum and the only remaining Synagogue. 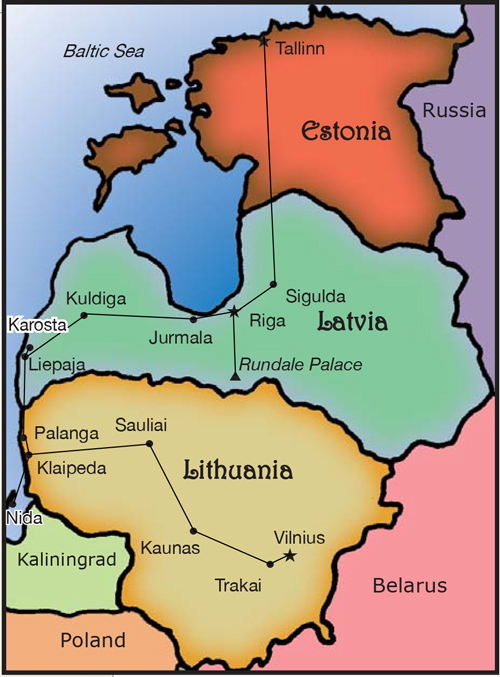 Next, we’re on to Riga, capital of Latvia. This 800-year-old city is considered one of the most beautiful towns in the Baltics. Founded in 1201 by Bishop Albert, head of the Order of Teutonic Knights, the old town is a mixture of narrow streets, parks, riverbanks, and a canal flanked by old houses and lofty church spires. Finally we visit Estonia’s capital—Tallinn. 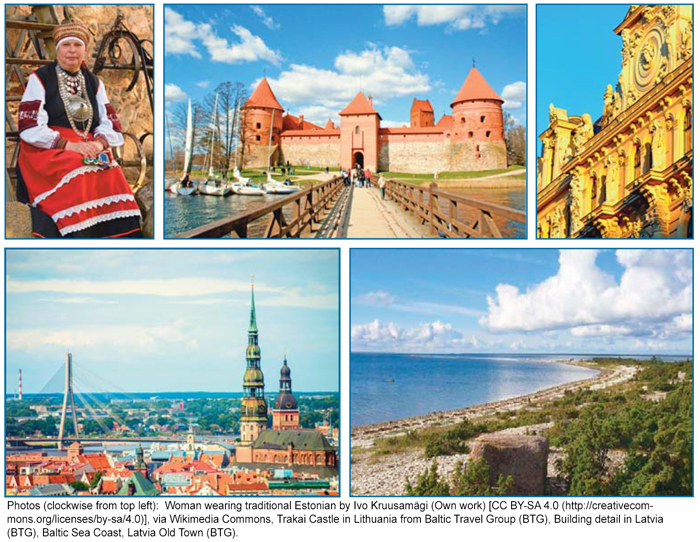 There you’ll visit the Old Town, listed as a UNESCO’S World Heritage site, where you will be fascinated by the Hanseatic merchants’ houses, the mile-long town wall, the medieval Town Hall and the House of the Blackheads. Our journey will take us through the picturesque Baltic countryside, past quaint villages, national parks and country castles. Besides the capital cities we won’t miss Trakai Castle, a magnificent example of Baroque architecture, Klaipeda, “gateway to the sea”, Kuldiga’s preserved wooden buildings and Jurmala’s resort-town traditions. For very special excursions to the area surrounding Tallinn, Estonia we see the Kadriorg Palace and Park including the museum and Gauja National Park, known as the “Livonian Switzerland”. We will enjoy both walking and coach tours of the capital cities, exploring their history, unique cultures and architecture. Although we have a full program there’s time to slip off to sites of special interest such as the Occupation museums. Please read on about our tour of the Baltic Capitals. We look forward to seeing you on this very special trip! Our group tour is limited to 15 world travelers, so please be sure to reserve your space today!